Notable for his performance as Mr Gilbert in C4's The Inbetweeners, Davies performs stand-up and is one third of the sketch group We Are Klang whose debut at Edinburgh picked up the Spirit of the Fringe award in 2004. 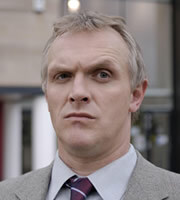 In 2002, Davies won the Laughing Horse New Act of The Year competition and was a finalist in So You Think You're Funny. In 2003, he was a runner up in ITV's 'Take the Mike' competition and a finalist in the Leicester Mercury New Act of The Year competition. He was nominated for Best New Act of the Year in the 2003 Chortle comedy awards. In 2006, Davies was nominated for an If.comedy award as part of We Are Klang. When can I see Greg Davies?